Anyone else planning a cookie exchange party this year? If you are in the Arizona area, don’t miss out on the West Valley Moms Blog Cookie Exchange Party. To give you some cookie exchange inspiration, I’ve teamed up with some of my favorite food blogging friends today to bring you a virtual cookie exchange. Cookie exchanges are awesome because you go to the party with one kind of cookie, but come home with dozens of cookies to taste! There’s nothing better than seeing all of the cookies out on all of their plates and getting to go around and fill up your bags with other people’s delicious recipes. Here is my peanut butter chip cookie recipe and keep scrolling for 40+ other delicious cookie recipes so you can find the perfect cookie to take to the party this holiday season! Directions: Combine and mix the brown sugar, butter, egg, peanut butter, vanilla, salt, baking soda and flour together until smooth. Fold in the peanut butter chips. Roll into small balls and coat in sugar before placing on a baking sheet. Bake at 350 degrees for 10-15 minutes, until golden brown. Here are 40+ other cookie exchange recipes from some of my favorite bloggers around the country to inspire you. 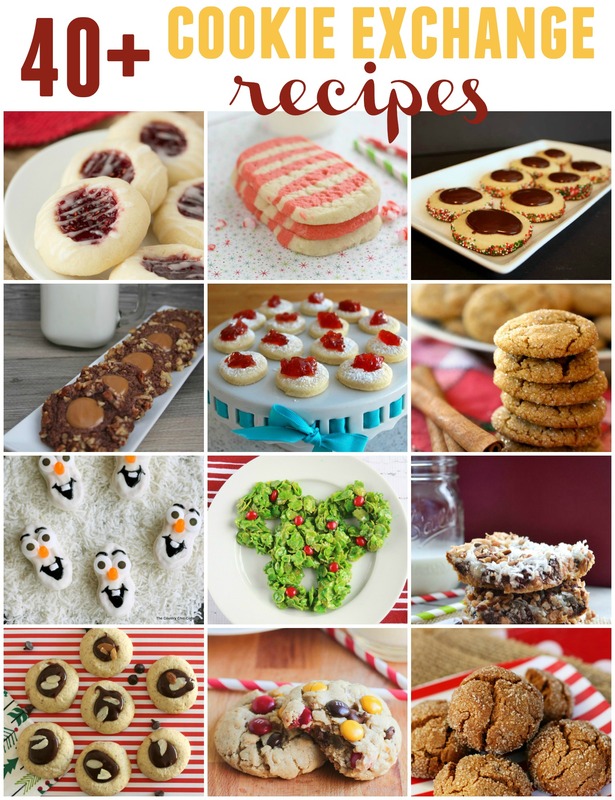 Be sure to follow the Cookie Exchange Pinterest board for year round cookie recipe inspirations! Yummy! Love this recipe round up and can’t wait to make the peanut butter chip cookies!